Until very recently, I would have never thought to put the words Canada and wineries together. This is especially true for the Eastern part of the country where, quite frankly, it is unreasonably cold for much of the year. 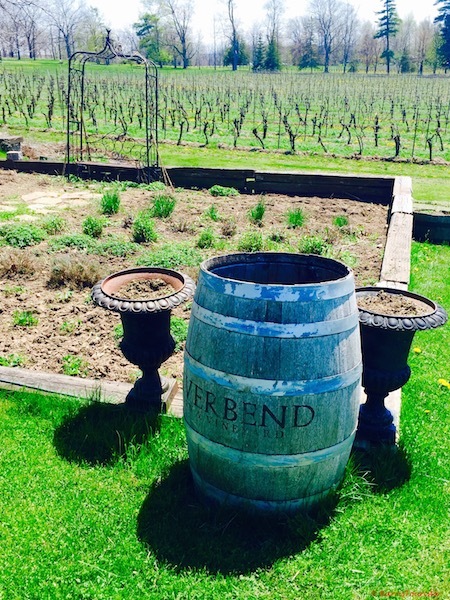 So the idea of wineries outside of Toronto in the greater Ontario region was definitely not something I was familiar with as someone who loves a good wine tasting and winery visit. 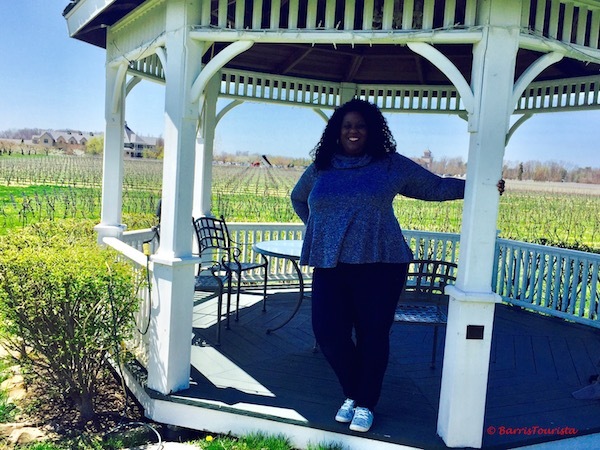 Then, I began to dig deeper and I learned about Niagara on the Lake and the fast-growing wine region, and decided I needed to visit on my trip to the area. So my Dad, who I actually introduced to the glorious world of wine tasting, flew into Toronto to meet me for a few days. We drove down from Toronto (about 90 minuets) to catch the beauty of the Niagara Falls and to take a full day wine tasting tour with Niagara Vintage Wine Tours, who provided my Dad and I with complimentary tours to experience all that the region had to offer. 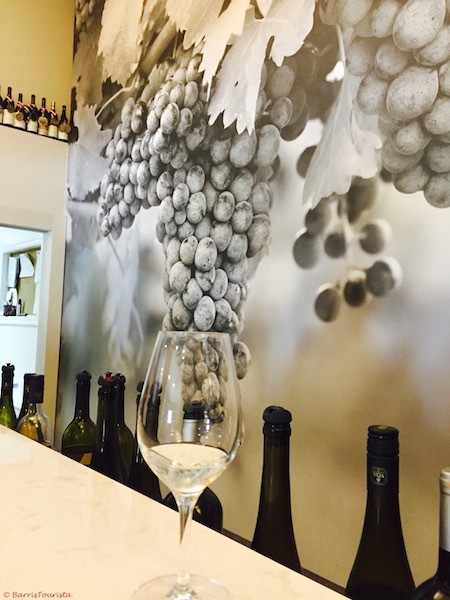 We had an amazing time and here is my review of our day trip wine tasting tour plus lunch with Niagara Vintage Wine Tours. The van picked us up from the hotel around 9:30 and it was super luxurious and comfortable. I tend to have motion sickness issues in tour vans, but I was pleased to not feel motion sick on this tour. 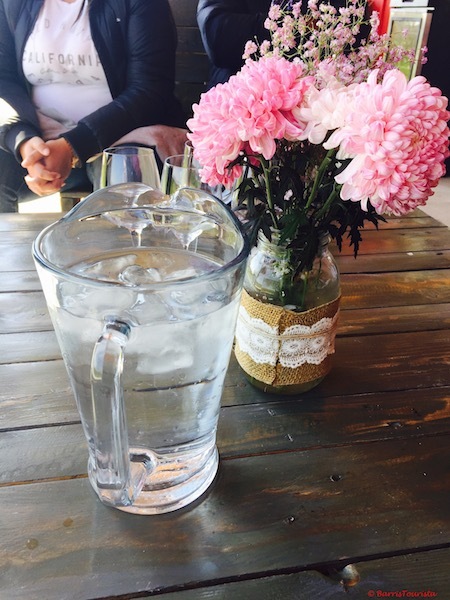 As we were driving, our driver and guide gave us a ton of information about the wine region, the Niagara Falls, and, as we arrived at each stop on the winery tour, he gave us some background on the winery, its owners, and what it is known for. It was extremely thorough, but light and conversational. Our tour consisted of four wineries plus lunch, and we were gone for about 7-8 hours. It was jam-packed full of information and kind of gave us a diverse idea of the region and wineries. 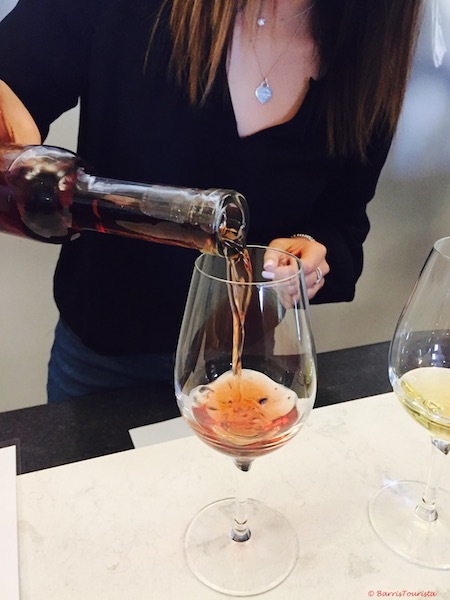 We could definitely tell this is a more high-end wine tour company in the region that focused on the details and making it a great customer experience. We had guests from all over the world, as far as Uruguay with us on our tour, and we all had a blast! One of the reasons that I was super excited about wine tasting in Canada was, of course, icewine. A Canadian delicacy, icewine is wine made from grapes frozen on the vine. Given, Canada’s code weather in the winter, this makes perfect sense, no? 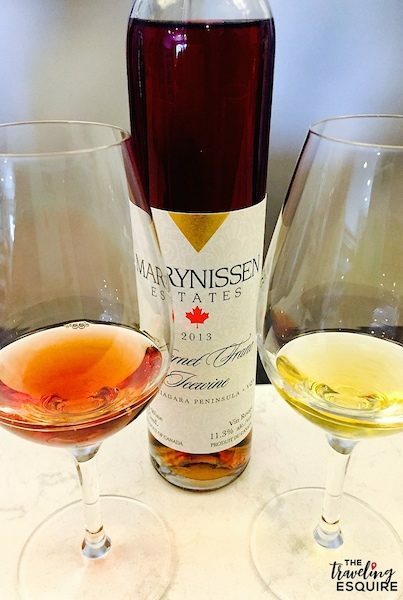 Canada produces something like 80% of the world’s icewine, and 75% of Canada’s icewine comes from Ontario. So, needless to say, this is huge business for the region and is their main selling point at all of the wineries. I am a fan of sweeter wines, so this is absolutely perfect for me. There are various flavors of icewine, and it comes in both red and white, and I was super excited to try it all on the trip. 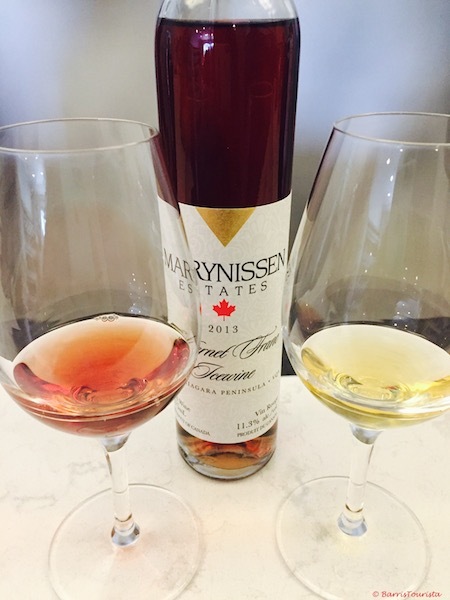 I had previously sampled some in Vancouver, and I had no idea about how much icewine in specific and wine in general Ontario produced. Match made in heaven. 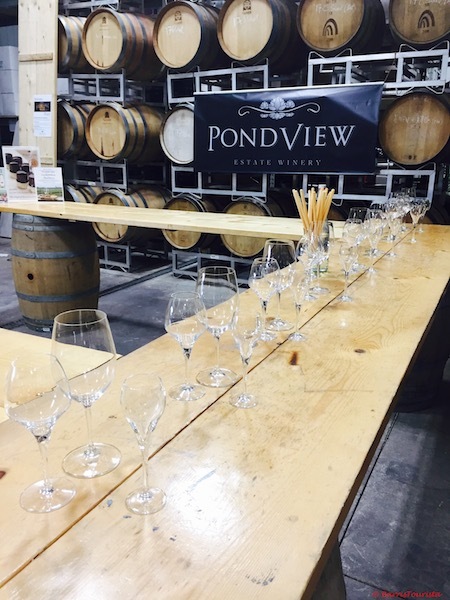 Our first stop was Pondview Estate Winery, and we got to do our tasting in the barrel room. It was much lighter and airier than most barrel rooms I have experienced and the tasting area was large. At Pondview we tried four different wines, and many people got their first taste of icewine, including my Dad. It was really light and not to syrupy, and we really enjoyed it. In fact, I enjoyed most of the wines on this stop, including the reds, which aren’t traditionally my favorite. We definitely got a couple of bottles, and they even have an option to get icewine and little chocolate shot cups to sip it from, which is perfect for brunch. Our next stop was Marynissen winery for some more tasting. Here, we got the option to taste three wines each of our choosing from Marynissen’s extensive wine list. 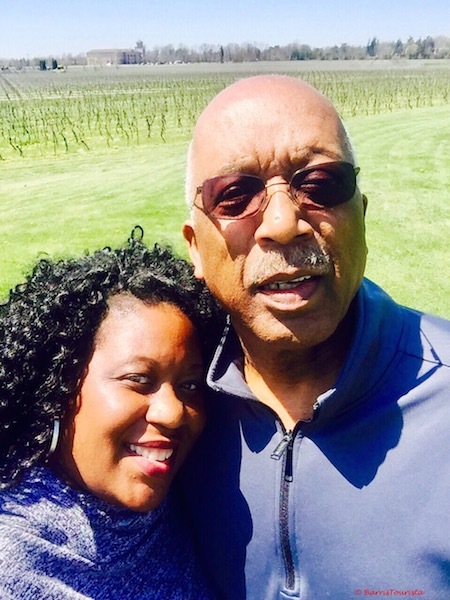 So both my Dad and I opted to get different wines so we could both taste six wines…winning! I will admit that they may have given us an extra pour so we could taste more of the assortment of wines, which was fantastic. The staff was super accommodating, even taking photos for us during the tasting. Here we also got to try both a white icewine and a red icewine and both were lovely. 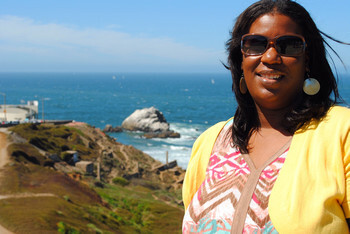 Then, of course, we took the obligatory cheesy photo ops, bought some wine, and it was on to our next stop. At Pillitteri winery, it’s all about family. 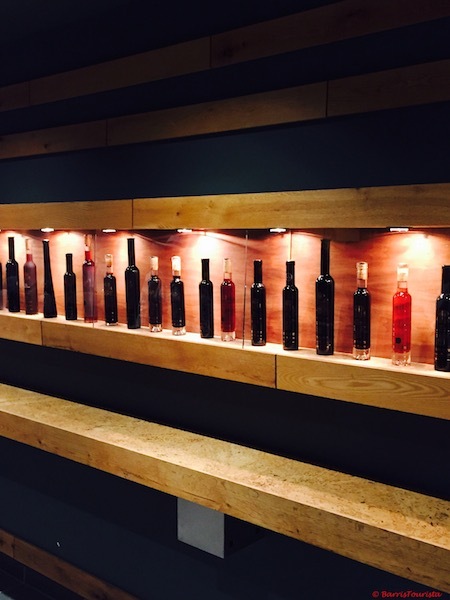 Pillitteri is the world’s largest, single estate, family-run icewine producer and has won a ton of awards to boot. But when you were there, the emphasis really is on the details and family. Before we even tasted wines, we toured the grounds, including the cellar barrel room, which is underground. We learned about the Pillitteri family and how the family really permeates everything relating to the winery. After we headed back up above ground, we sampled a number of delicious wines. Seven, to be exact. While we really enjoyed (and purchased one for each of us) the icewine, we also really liked the Riesling. It was fruity and just sweet enough but would pair perfectly with just about every meal that I eat. We also grabbed a bottle of that to go (by now the bottles of wine were really stacking up LOL). 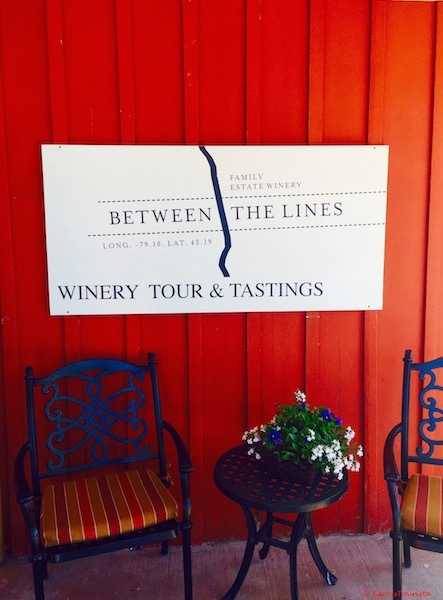 Our last winery stop was at Between the Lines winery, a winery owned by two brothers in their twenties. 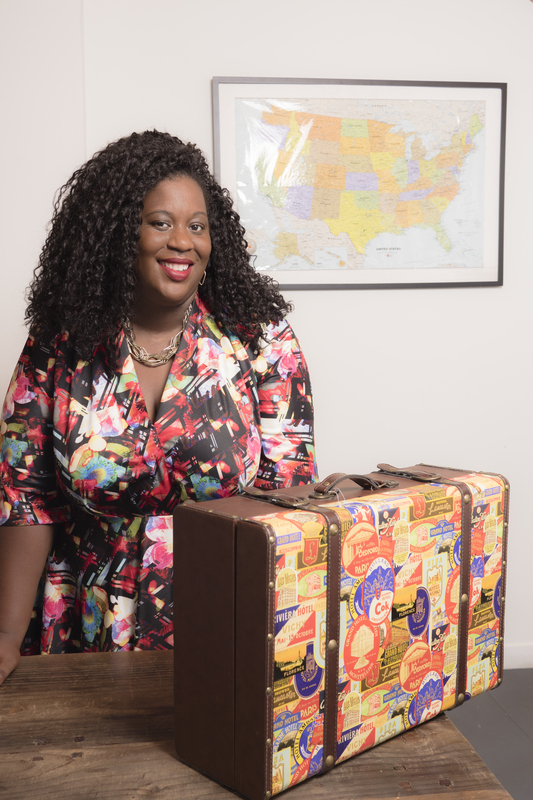 They focus on making wine accessible to the masses, and even have some canned wines that are taking the region by storm. For this tasting, we got to sit outside and really enjoy the sunshine and the weather. We paired four different wines with cheeses and just enjoyed the fresh air as we learned about the winery. It was a nice change to get outside and the timing was perfect with the mid-afternoon weather. 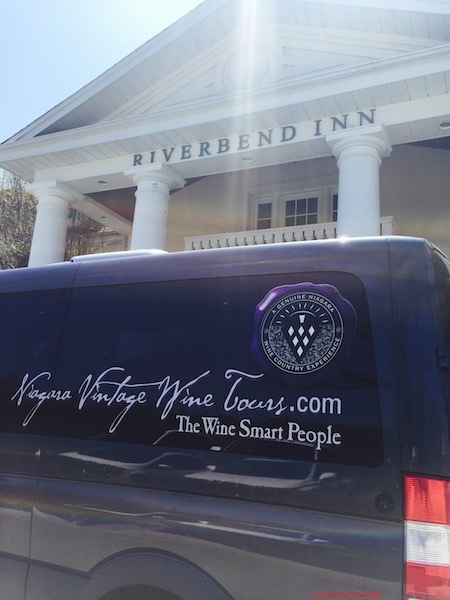 After our second winery, we made a pit stop for lunch at Riverbend Inn. Food is clearly a necessity at some point when wine tasting is concerned, so we stopped and had a prix fixe three course meal. I opted for the warm root salad, which was really tasty. I also had the lobster mac n cheese for my main course. 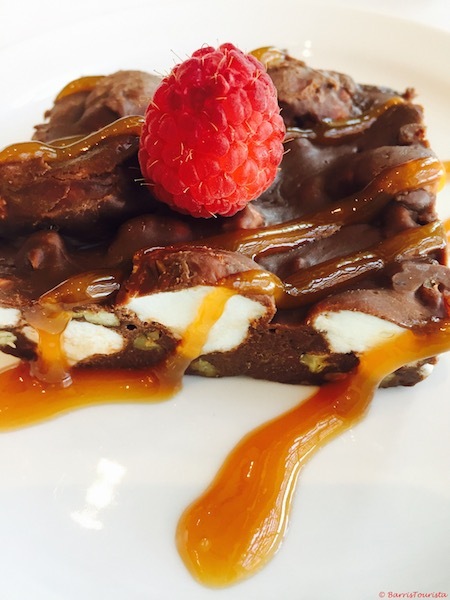 And for dessert… rocky road. Not rocky road ice cream. Actual rocky road! I had never had actual rocky road before that wasn’t ice cream, but it was absolutely decadent. I couldn’t even finish it all! But the main beauty of Riverbend Inn is truly its grounds and the view from lunch. 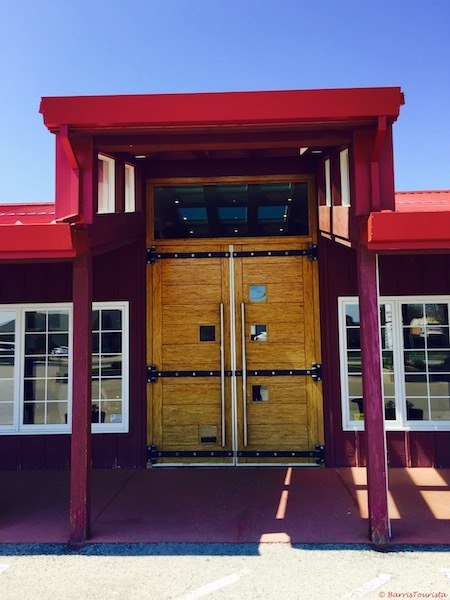 The vineyard is expansive and you get an amazing view from either inside the restaurant or out on the covered patio. It was absolutely lovely. This is where my Dad became an Instagram Dad. Taking pictures of me on the grounds, it was a perfect little interlude before we got back to the business of the day, tasting wines. And clearly we weren’t alone because everyone on our tour was snapping photos before it was time to head off to our next stop. I definitely believe that we made the right choice by choosing Niagara Vintage Wine Tours. The guide was super informative and friendly. The van was clean and sturdy, and I didn’t feel motion sick at all! And of course, the wineries their curated as part of the tour were absolutely lovely. We could really tell that they had great pride in their wine tours and really took the time to curate excellent choices for their guests. We had a great time, bought a ton of wine to take home, and I would definitely recommend it for future wine connoisseurs. Thank you to Niagara Vintage Wine Tours for sponsoring our wine tasting excursion. Though our tours were sponsored, all opinions are my own. 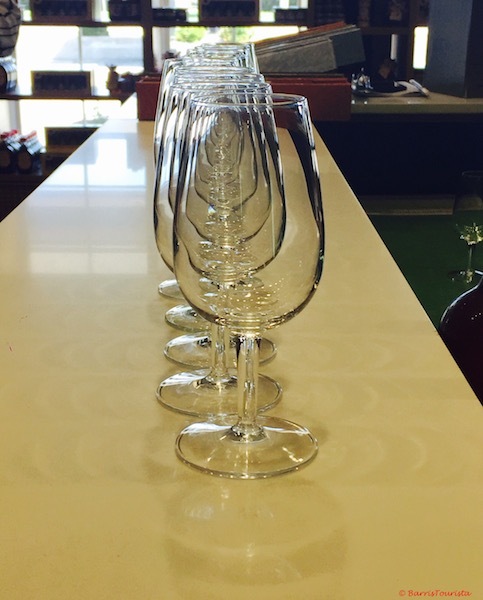 I’ve never been to a wine tasting but they always look so classy. That dessert looks amazing by the way. It was good fun, but definitely fun for everyone! We were totally casual and just enjoyed a good time! I always love a good wine. It sounds like you had a great time. This has nothing to do with the wine, but I love those doors. I love doors as well, that’s why I had to get that shot! And yes, the wine tasting was absolutely lovely! I’ve never been to a wine tasting and I keep kicking myself for it. My sister raves about them all the time. This is a great idea of something to do with my mom and sister as we want to all travel together. 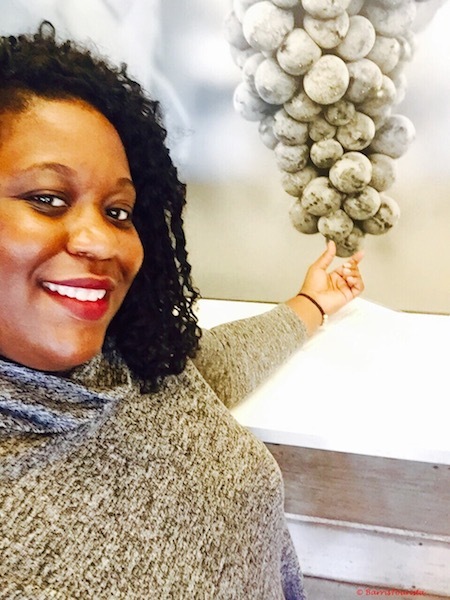 What a great way to spend the day enjoying wine and learning about it. I would love to take a tour here! What a first class experience, I love that you shared it with your Dad. I have never heard of icewine, but I am fascinated by the back story. It was absolutely lovely! Icewine is the way to go! I’m glad you had a positive experience. I don’t drink wine, but I like the atmosphere of being at a vineyard. I never think of Canada and wineries either. Well adding this to my bucket list to do a wine tour at Niagara when I visit Canada in the future. Great review! Wine tastings are my absolute favorite. Thank you for giving me great ideas and places to look forward to experiencing. Definitely something I would do with my mom!